I’m excited to introduce the next shop in our Etsy feature series, Life Is Balance. Whether you’ve set the intention to live a healthier lifestyle or you’ve been active for years, I’m certain you’ll love these meaningful t-shirts and jewelry pieces. I came across Life Is Balance a few months ago when I joined Martha Stewart’s Dreamers Into Doers, a community that celebrates creative women who turn their dreams into careers they love. I was immediately inspired by the symbolic clothing and jewelry and knew I had to find out more about this business and the visionary behind it. Who’s Behind Life Is Balance? Sheryl grew up in the Bronx, in a middle class family. Her dad was a millinery salesman (that’s hats) and her mom worked in marketing for a bank. Her mom (who turned 94 on January 9th!) was also an artist, painting in her free time- most likely where Sheryl’s artistic genes come from. She graduated from the High School of Music & Art in NYC (the school made famous in the movie, FAME) and went on to get her BA in Psychology from Cornell University. She started out a biology major until she learned that almost all the other bio majors were aiming at Med School – not something she wanted to go up against! After trying out a variety of majors, she ended up going back to her artistic roots and combined psychology with design to create a major in the Psychology of Advertising. She then went on to Pratt Institute for graduate studies in Communications Design, which led to a career in Graphic Design, first working for a large Public Relations Company. In 1992, Sheryl started her own company, Checkman Design Inc., specializing in corporate communications, branding and web design. Skiing? She loves it. Swimming? Can’t get her out of the water. Scuba diving? A fanatic. Yoga, bike riding, photography…these are other hobbies that make her smile. Sheryl may be a graphic designer, but she’s also an avid sportswoman. All the activities she does—work and play—together make her who she is. They create a balance. One day, Sheryl had an idea for a design that represented the scuba diver in her. She was looking at the simple symmetry of a yin yang symbol and she saw a scuba design. In Chinese philosophy, yin and yang (heaven and earth) represent two opposing yet complementary forces, or energies, that are said to be found in nature. One cannot exist without the other. They create balance. In each curved half of the symbol, she saw the shape of a fish… really! She added a diagonal white stripe representing the universal symbol for a dive flag, and her first Life is Balance® design was born! After planning a dive trip to Club Med in the Turks & Caicos, Sheryl decided to print her new design on a t-shirt as a thank you for the scuba team. Everyone loved them and when other guests saw the scuba GO’s wearing them, they asked if they could buy them too. That made her think she had something worth pursuing. She decided to extend the concept to all of the different sports and activities that make people feel good and started her t-shirt line. Sheryl is a perfectionist by nature and very detail oriented and knows that is one of the reasons her graphic design clients keep coming back. In fact, it was a long process getting her t-shirts just right. The first ones were chosen by a licensing company and they just didn’t feel right to her. Over time she came to the realization that she was better off overseeing the entire process and she ended up dumping the licensing idea. Sheryl searched out the perfect t-shirt – a soft, thin cotton (with a longer, fitted length for women) – perfect for layering or working out in. The men’s styles are equally soft (just a bit thicker). Then she had the problem of finding just the right way to print them so they retained that soft feeling. After a year of trial and error, not to mention a lot of wasted money and disappointments, Sheryl finally forged a relationship with a printer that can give her just the quality she had been looking for and a means to be able to offer all of her designs in a variety of styles and colors. Being a diver and and an ocean lover, protecting and conserving our oceans and the life they contain is very important to Sheryl. Therefore, the Conservation/Sea design is one of her favorites. She intends to donate a portion of the sales from this design to an ocean environment organization although she has not yet decided which one yet. And, since her sports loves are scuba, skiing and yoga (amongst others), her favorite t-shirts are those designs. As far as the jewelry collection goes, Sheryl loves the colors in the Fine Silver and Semi-Precious Stone Bead Lotus Symbol Balance Necklace. The light blue and purple stones look so pretty against the silver, she had to make one for herself! She designs each individual necklace with fine silver beads from Thailand as well as other semi-precious stones, beads and symbol charms, including her signature yin-yang symbol. Each necklace comes with a card telling its new owner to “Surround yourself with a circle of positive energy. 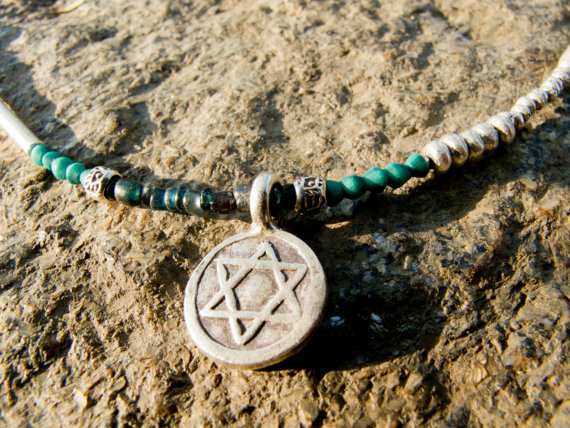 Set an intention, for yourself or someone you care about and lock it in by closing the necklace. Celebrate the balance!” Sheryl feels the necklaces are a perfect addition to Life is Balance® (and more earrings are on the way). Sheryl plans on adding more styles in the next few months, including v-necks, tank tops for women, as well as kid’s sizes. In addition, she will be adding more designs to the mix. Although she only started her business a short time ago, it is really taking off. Just last week she found out that Life Is Balance has been selected as a sponsor of the 2012 Empire State Winter Games at Lake Placid (Feb 2-5). This will expose her business to 1000 athletes and many more fans! Check out Sheryl’s blog for more exciting news, inspiration and updates. 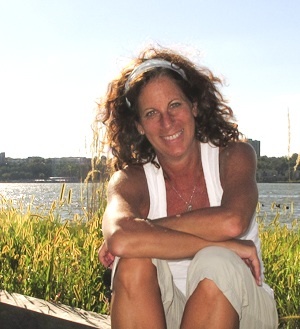 What does Sheryl love most about starting Life Is Balance? 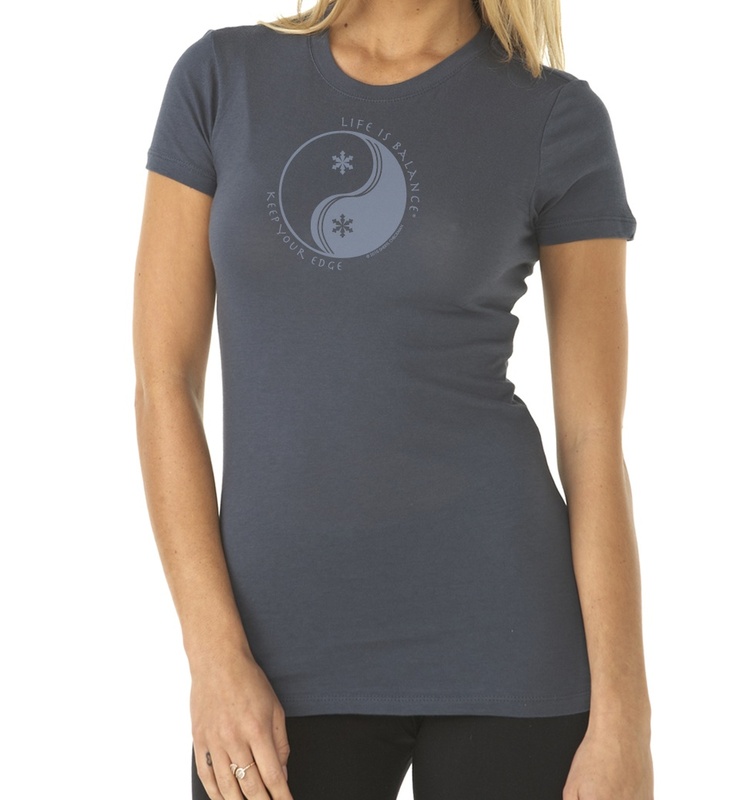 Sheryl is generously giving away a Life Is Balance woman’s short sleeve t-shirt . The winner will have her choice of a Protect and Preserve Earth Environment design in white or a Ski/Snowboard Keep Your Edge design in indigo. To be entered: visit Life Is Balance on Etsy and come back and leave a comment below about which clothing and/or jewelry item you like the most. Share this post on Twitter with the hashtag #SatoriGiveaway and come back here and leave a second comment that you shared the link there. Share this post on Facebook and come back here and leave a second comment that you shared the link there. Your information is kept strictly confidential and is used for award purposes only. Open to residents of Canada and US. Contest closes Thursday, January 19 at 8 pm MST. Winner will be announced on Friday, January 20. If winner does not claim within 48 hours, another name is randomly selected. Sheryl is also offering FREE SHIPPING with code FreeShipSatori until February 15, 2012 (Note: this code is valid on her website or etsy shop). These t-shirts and jewelry pieces are perfect for everyday wear and would make fantastic gifts. And, I love that some of her products raise money for a good cause- win/win situation! If you’re interested in becoming a Featured Etsy Store, please Contact us for more information. I truly admire Sheryl for following her passion . Inspirational, wouldn’t you say! Don’t forget to enter the giveaway! Leave a comment below. 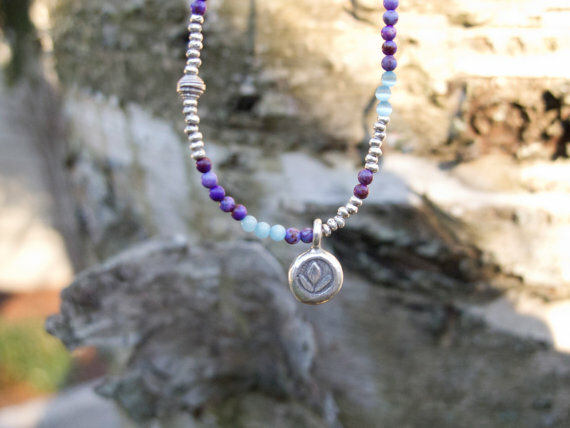 Love, love, love the lotus symbol necklace in blue and purple! Great giveaway Shauna!! I love everything on her etsy shop, but mostly the long-sleeve white shirt!! Just posted on my facebook page!! I love the gardening peace one. It looks so comfortable too! Shauna, I am so happy to see Sheryl featured on your blog! I love her work….hard to pick a favorite, but I love the message of the Peace and Freedom T-shirt. Hi Renee! Yes, love the concept for Sheryl’s business and she is a delightful person (just like someone else I know)! The yoga t-shirt is my favorite. Love the lotus necklace too! I love the natural buoyancy shirt (for my daughter) or the running shirt (for me). What a great giveaway! What a wonderful giveaway! I would love the white long sleeved shirt myself, but everything looks fabulous!! I like the Natural Buoyancy Scuba Diving T-shirt the best. I love the messages from each shirt. What a great giveaway! Love Sheryl’s items! Esp the run/jog t and the long sleeve t’s cute!!! Great feature Shauna! I love Sheryl’s work! So nice to see her featured on your blog! What a treat to have the opportunity to enter this great giveaway! I love her yoga t-shirt. I would love to win one of these shirts! I’m already a fan of Life is Balance on Facebook. It would be hard to pick my favorite. Either the running one for me (selfishly) OR…even better I could be a good mom and get the scuba one for my ocean-obsessed daughter. She’s 11 and has a blog all about the ocean animals and issues that inspire her: www.whalechick.com. I like the Fine Silver and Natural Stone Bead Necklace but also love the earthy colors of the T-shirts! i can’t choose between the Pilates and the Theatre shirts!